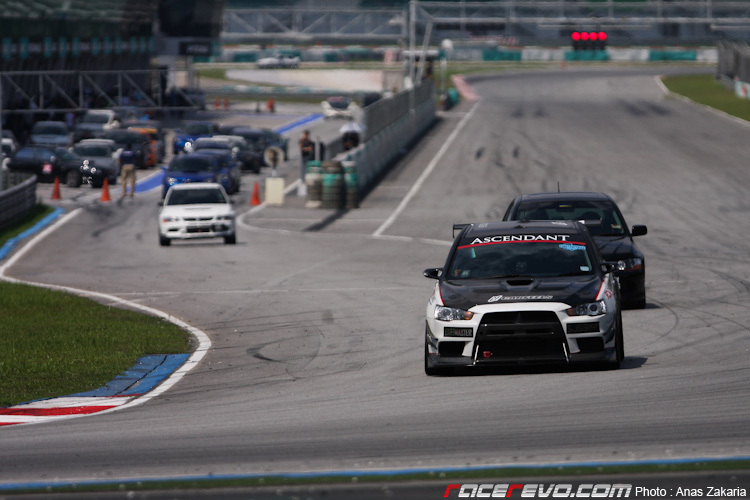 Time To Attack : Sepang – Round 2 Coverage by RaceRevo.com | TIMETOATTACK! No rain this time around, as the track stayed dry for the whole day during the 2nd Round of the Time to Attack challenge at the Sepang International Circuit. It was hot and humid as usual, which meant that the lap times are bound to be quicker compared to the times that were set during the 1st round in damp conditions. While there are some competitors from the 1st round that didn’t take part, a lot of new competitors emerged. 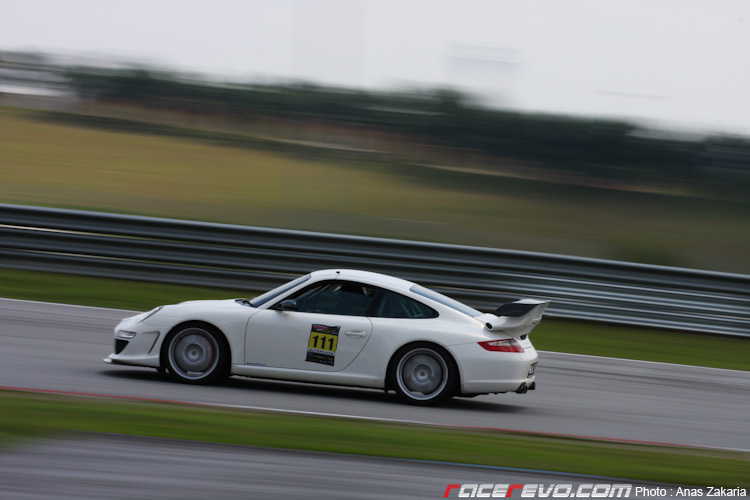 Spotted were a few fully prepped time attack machines, a bunch of full spec race cars that took part in the Sepang 1000km and a preview of some of the teams that will take part in the upcoming Merdeka Millennium Endurance Race (MMER). One of the main attraction is D’PRO Auto Shoppe’s Perodua Myvi, a fully prepped time attack beast. The car looks mean inside out, and the distinctive green color scheme made it stands out from the rest of the competition, not to mention the loud thundering sound it makes on the track. Inside view of the D’PRO Auto Shoppe’s Perodua Myvi time attack machine (above and below). Kudos to zerotohundred.com for successfully organizing the event, hopefully it will trigger a lot more interest from the public in the near future. 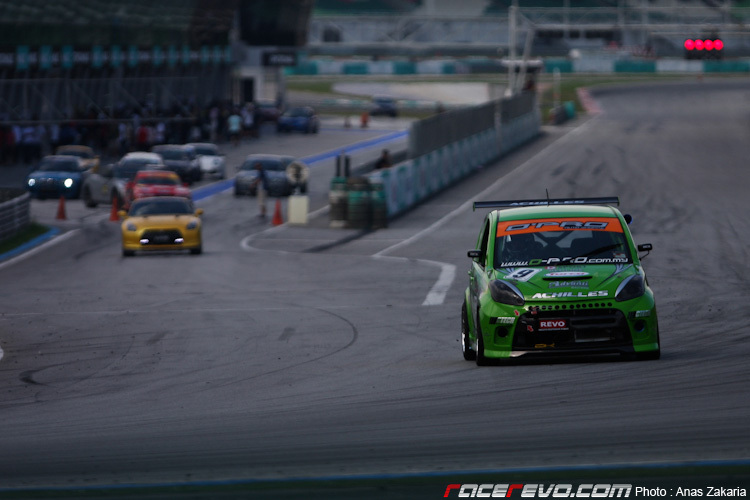 Time attack is definitely a form of motorsport that have the potential to grow big in this region, judging by the reception of the competitors taking part, notably from Malaysia and Singapore. Looking forward for the 3rd round of the event! More photos from the 2nd Round of the Time to Attack challenge below. 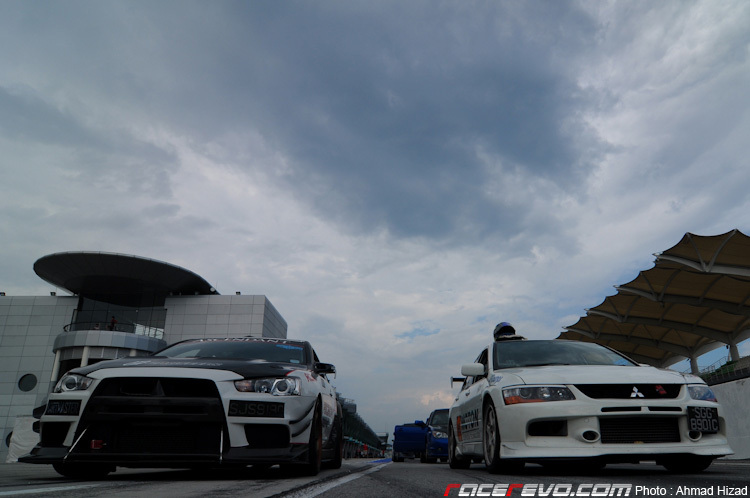 UPDATE (July 27th, 2010) : The results have been published by zerotohundred.com, and surprisingly despite the dry weather, nobody was able to better Farriz Fauzy’s time of 2:30.421 in his Nissan GTR R35 in the wet. Unbelievable! 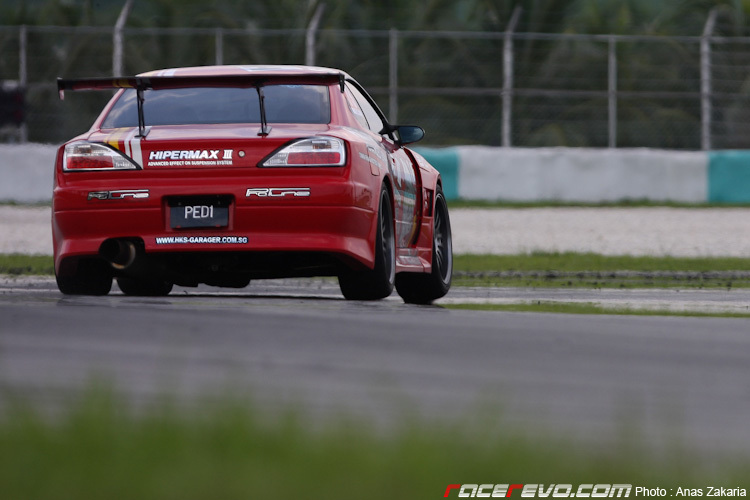 Ee Yoong Chern recorded the fastest overall time in his Nissan Silvia S13 for the 2nd round of the Time to Attack challenge.